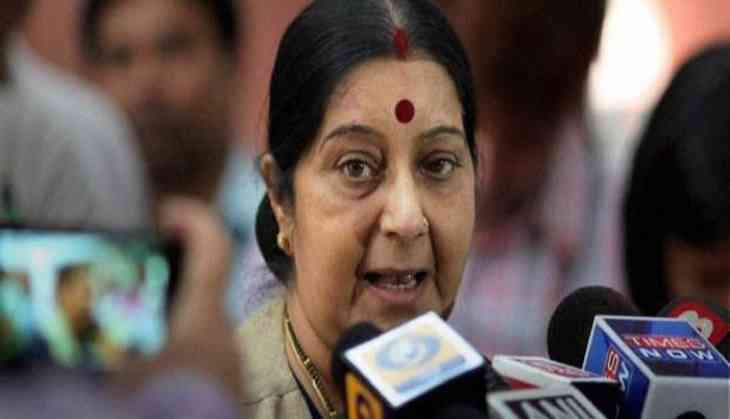 Union Minister Sushma Swaraj condemned Samajwadi Party leader and candidate from Rampur, Azam Khan’s controversial ‘Khaki Underwear’ remark against Jaya Prada. Foreign Minister Sushma Swaraj urged Samajwadi Party founder Mulayam Singh Yadav to open up on the disrobing of the Draupadi of Rampur". During a poll campaign in Rampur, Azam Khan made a below the belt remark while attacking rival BJP rival Jaya Prada on Sunday. Khan made the comment in presence of Samajwadi Party chief Akhilesh Yadav. SP leader comment has irked controversy and FIR has been lodged against him in Rampur. Taking note on Khan’s remark, Sushma Swaraj drew the attention of SP Patriarch Mulayam Singh Yadav. "Mulayam bhai, you are the patriarch of the Samajwadi Party. The Draupadi of Rampur is being disrobed in front of you. Don't make the mistake of staying silent like Bhishma," the Swaraj tweeted, tagging Akhilesh Yadav's wife Dimple Yadav and party leader Jaya Bachchan. In his campaign speech in Rampur, Azam Khan said: “....the underwear beneath is of the khaki colour." Responding to the controversy, Azam Khan said he will withdraw his candidature from the ongoing polls if proved guilty. "I will not contest the polls if proven guilty...I haven't named or insulted anyone and I know what I should say," Azam Khan told news agency ANI, on the crude remarks, allegedly made against Jaya Prada at an election rally on Sunday. "I was a nine-time MLA from Rampur and have been a minister," the SP leader said. “If anyone proves that I have named anyone and insulted anyone by name. If it is proved, I will step back from the elections,” Khan added.